Hurricane Damage Insurance Claims Lawyers - Shamis & Gentile P.A. September 13, 2017by Shamis & Gentile P.A. This is been a trying week for everyone in South Florida. The devastation caused by Irma, while much less than anticipated, has still caused power outages and damage all throughout the state. 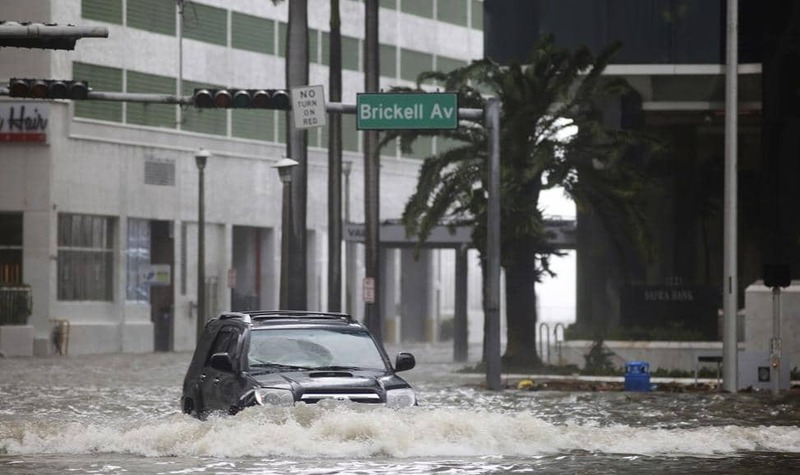 Hurricanes in Florida cause devastating and costly damage to homes, businesses and property. A hurricane can destroy your entire home as well as valuable possessions such as furniture, artwork and jewelry. Damage to the roof can cause the house to be unlivable, forcing you and your family to relocate for an extended period of time. Contact Shamis & Gentile, P.A. your hurricane damage insurance claims lawyers for a no obligation, free consultation. Hurricane Damage Insurance Claims Lawyers, Shamis & Gentile P.A. represent people whose insurance companies refuse to pay them the full value of their claim or have denied the claim and refused to pay any money. We help our clients obtain the full value of their claim, so they are fully reimbursed for their losses, and get the coverage they deserve for the premiums they have paid to their insurance companies. We have vast experience with all types of insurance and property damage claims including those arising from flood, fire, wind, mold, sink holes, pipe leaks, hurricanes, tornadoes, water, accidents and injuries. Why Should I Hire Hurricane Damage Insurance Claims Lawyers ? Insurance companies have large and experienced armies of lawyers, experts, and insurance adjusters. Unfortunately, their marching orders are often to pay the minimum amount on all claims, and to deny claims whenever possible. Why? Because insurance companies maximize their profits by charging the highest possible amount for premiums, and paying the lowest possible amount for claims. You paid your insurance premiums, and you deserve for your claim to be paid in full. The law requires insurance companies to pay your attorney’s fees and costs when the attorney recovers money for you in court, so in most cases you will not have to pay us any attorney’s fees or costs; your insurance company will pay our attorney’s fees and costs. Since your insurance company has a team of attorneys and adjusters on their side, you should have your own team of professionals that are charged with protecting your interests. How Much Does It Cost to Hire An Hurricane Damage Insurance Claim Lawyer To Represent Me For My Insurance Claim? People are generally surprised when we tell them that hiring an attorney to represent them for an insurance claim usually won’t cost them anything. The reason for this is that insurance companies are legally obligated to pay all attorney’s fees and costs if we win the case or when we settle in court in your favor. In any case, you will not have to pay us any attorney’s fees or costs unless and until we recovery money for you. And, if we take on your case and don’t recover any money for you from your insurance company, you will not have to pay us any attorney’s fees or costs. Don’t let an insurance company put a couple of fans in your home and cut you a check for a fraction of the cost of what it costs to replace whatever was damaged because “its just as good as new.” Don’t be taken advantage of! To schedule a free, no-obligation consultation with experienced hurricane damage insurance lawyers , call 305-479-2299 or submit our online “Contact Us” form. You can also email us at info@shamisgentile.com We look forward to helping you get the compensation you deserve. How Can a Miami Personal Injury Lawyer Help?